Great move Samsung! This is the perfect idea for my toddler who is starting to fight me for my phone or tablet. She understands that some things are Mommys and some things are hers, but sharing is still an advanced concept—and we really don’t want to buy her a full blown tablet and set it up for her. 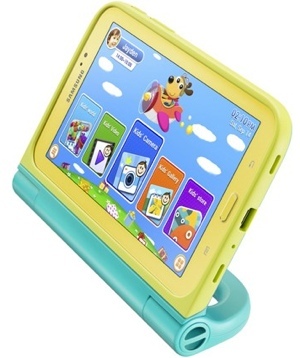 I’m looking forward to learning more about this and can’t believe it has taken so long to capitalize on the children’s tablet market.